On this day of confusion and sadness, I was granted happiness and goodness by getting to hang out with Kaitlin. I took the day off and we spent a few hours together. 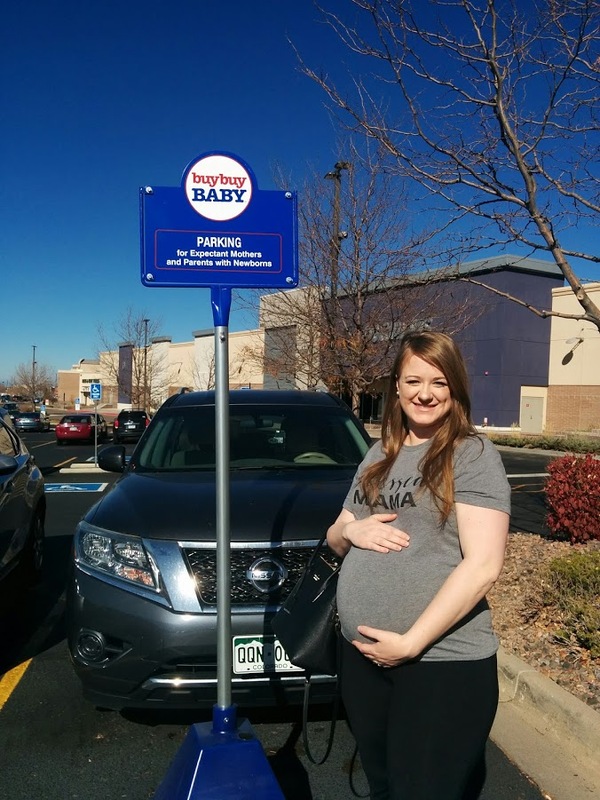 We went to Firehouse Subs, Buy Buy Baby, and got our nails done. We started the day at Firehouse Subs, a place that I enjoy but rarely go to, so I was happy Kaitlin chose it for lunch. She even gave me her pickle. Not only that, but she brought a present for me! How thoughtful is that?! And it’s exactly what I needed. 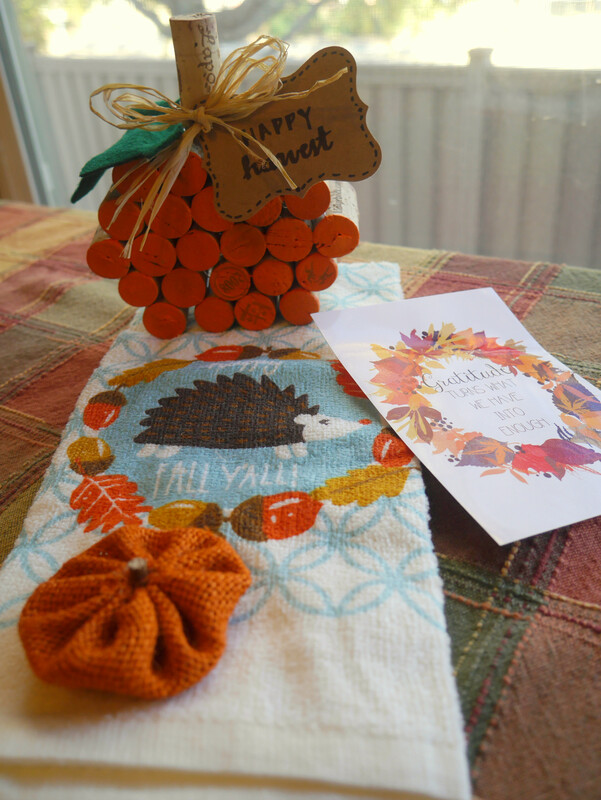 She gave me an adorable fall hand towel of a little porcupine saying “Happy Fall y’all”, a homemade cork pumpkin that Kaitlin made, a small fabric pumpkin and a picture with a gratitude saying on it. I’m going to bring the fabric pumpkin to work and I need to put the gratitude picture in a frame so I can look at it all the time and remember all the things that I am grateful for. After lunch we stopped at Buy Buy Baby, a store, which I learned, is Bed, Bath, and Beyond’s baby store (like Babies R Us is Toys R US’ baby store). It was the same layout as Bed, Bath, and Beyond. There were some really really cute baby clothes in there, I almost bought this soft fleecy Rudolph onesie but it wasn’t the right size. 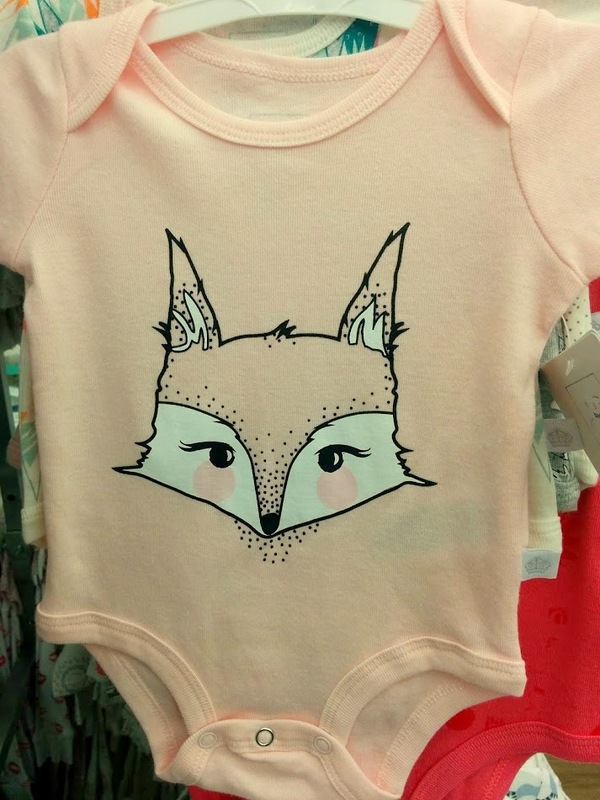 There was also a set of baby clothes that I really liked but Kaitlin wasn’t in love so I didn’t buy that either. Gotta buy what she actually wants! She ended up getting a fancy diaper bag and some cute bows. E.G. is going to be cruising in style. Ah, it’s so cute! Can I wear it myself?! We went to my house afterward so I could give Kaitlin the bread I had baked. Thank goodness it turned out well as I had made bread for myself last night and it was a disaster, it didn’t rise at all and it was all mushed to one side. It was a mess. But Kaitlin’s bread turned out perfectly! Our last event of the day was to get our nails done, something that neither of us do very often. 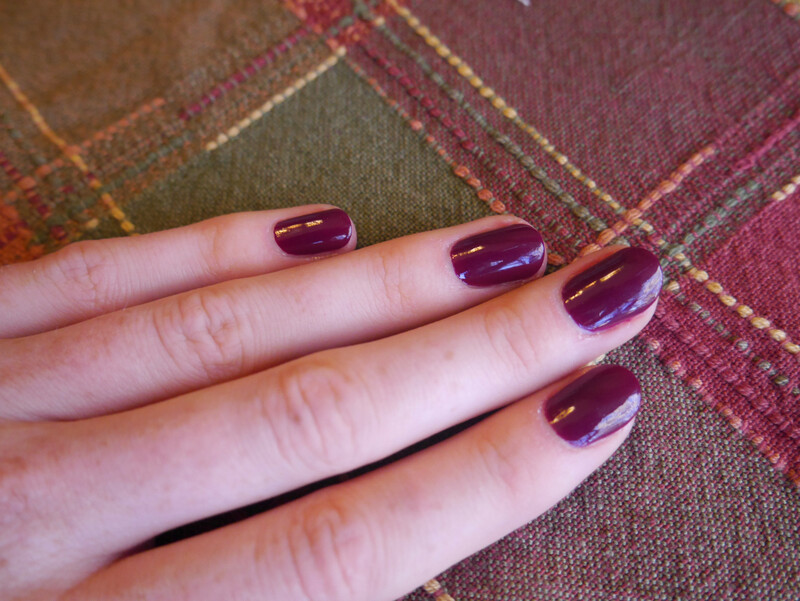 I chose a dark purple/orchid color which I really like and Kaitlin chose a dark blue, both great fall colors. It was such a fun day and something I really needed after a painful night. I think we’re going to have to make this a tradition- every day after election day I’m going to relax and enjoy life. The two of you enjoying being together does your mother’s heart good.